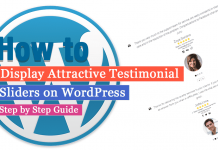 Home Learn WordPress Online - Step by Step (Free Guides) How to Optimize Your WordPress Site Robots.txt for SEO? What is Robots.txt for SEO? Robotx.txt is considered as a useful SEO tool that directs search engine on how to crawl your website. 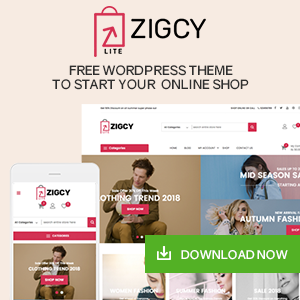 It is stored in the root directory (known as the main folder ) of your WordPress website. It’s basic format somehow looks similar to this. Why Optimize Your WordPress Site Robots.txt for SEO? You need Robots.txt to tell search engines which pages or folders shouldn’t be crawled. If you don’t have it, the search engine will still crawl the and index your website. It doesn’t affect a lot to your site. But, when your website keeps on growing and you have lots of content in your site, it becomes unwantedly compulsory for your site too. Anyway, it can’t be considered as the safest method to hide your content or posts from the traffic or users. But, it will help you to hide content from the search result. There are different ways to Optimize Your WordPress Site Robots.txt for SEO. Today, we will be doing this by using Yoast SEO. 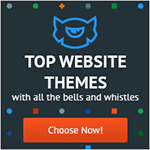 Learn to Install Yoast SEO in your WordPress site. 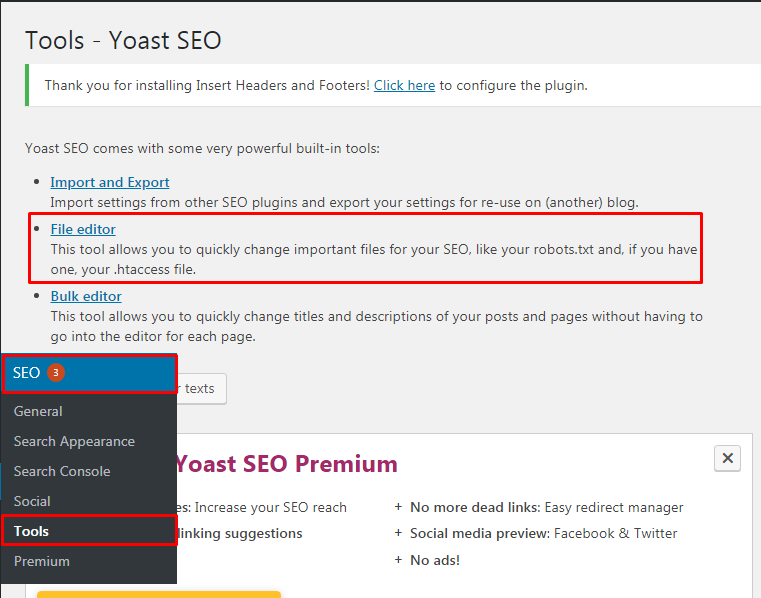 Click on Yoast SEO>>Tools page in your WordPress admin and click on the File Editor link. Click on the File Editor that appears on your page. By default, your WordPress site adds the rules to your robots.txt file. It is necessary to remove the text as it stops all the search engines from crawling your website. Click on Save changes to robotx.txt to save your changes. You have made your changes in the Robots.txt file and now you can only crawl the content or pages as per your wish. 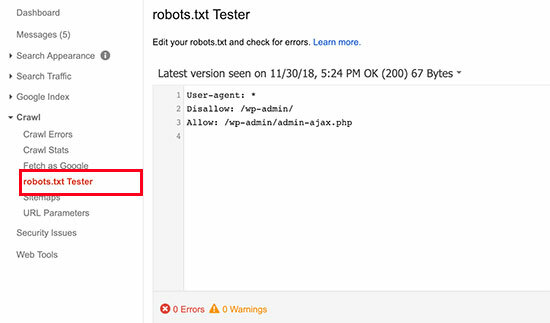 How can we Test Your Robots.txt File? Once you are done, you can always check for its surety. 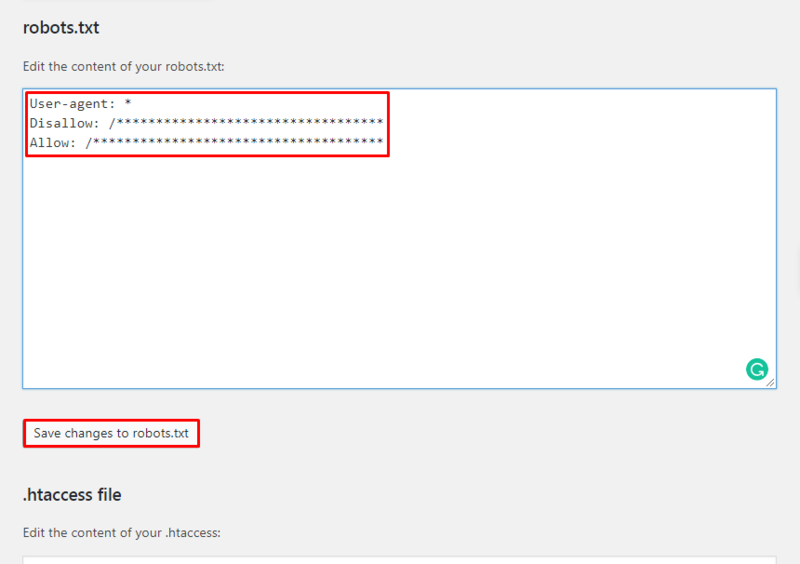 There are different ways of checking the robots.txt file. Anyway using Google Search Console can be an easier way of doing. 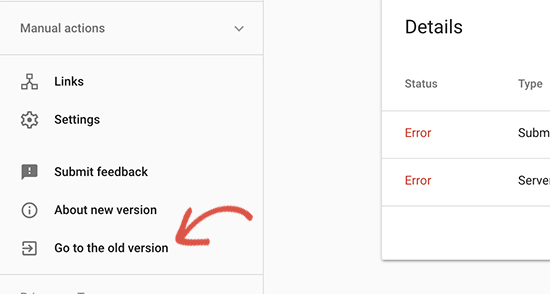 Switch to the old Google search console website. Launch the robots.txt tester tool located under the ‘Crawl’ menu. You now automatically fetch your website’s robots.txt file and highlight the errors and warnings if it found any. 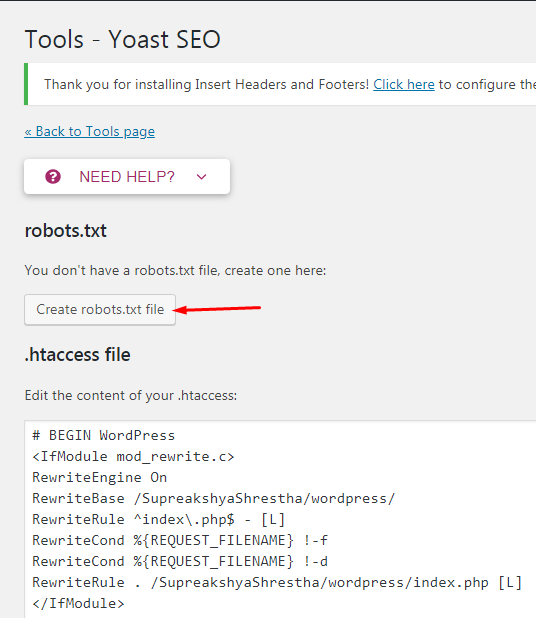 In this tutorial, we learned How to Optimize Your WordPress Site Robotx.txt for SEO. 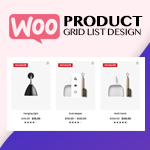 It has a certain sort of importance in your WordPress site as previously mentioned. 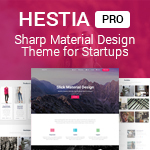 We have briefly explained your the method and idea to add it to your site too. If you have any confusion then Please let us know. Hey Buddy!, I found this information for you: "How to Optimize Your WordPress Site Robots.txt for SEO?". 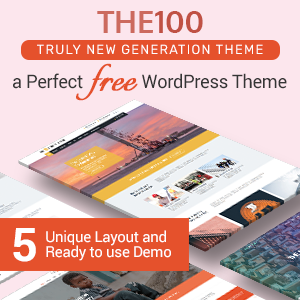 Here is the website link: https://wpallclub.com/how-to-optimize-your-wordpress-site-robots-txt-for-seo/. Thank you.